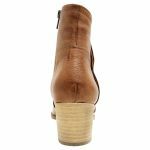 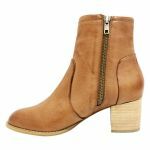 Slack by Django & Juliette is a high-rise heeled ankle boot. 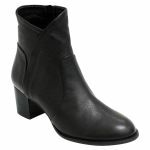 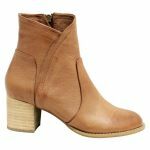 You would wear Slack as a dressy boot for every day and as a casual boot for work. 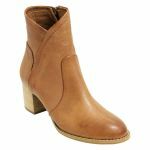 Slack has wrap style leather that sits higher above the ankle than most boots do. Slack has an oval toe and a padded footbed for lasting comfort. 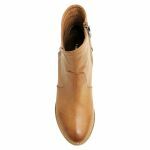 Slack almost has a modern western feel to it with the subtle leather layering. We recommend protecting the leather with our Waproo Leather & Stain Protector and using our Waproo Zorbel Leather Conditioner to maintain it after wearing.